I've started posting my normal blog feed and a new micro feed to https://micro.blog/simpson. 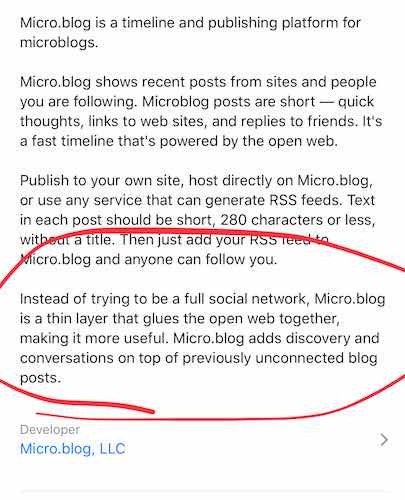 My motivation for integrating with micro.blog is that it feels like the right approach for the "open web". And so everyone who follows me on Micro.blog sees my blog posts, and I see theirs. Simple. And anyone who wants to could just read my blog in an RSS reader instead. All good, all open. So hop on board! Follow me over at micro.blog/simpson or subscribe directly to my new micro feed.